Danger ahead! Newfie Girl with a Spatula, a Shovel and a Load of Chocolate Chips. 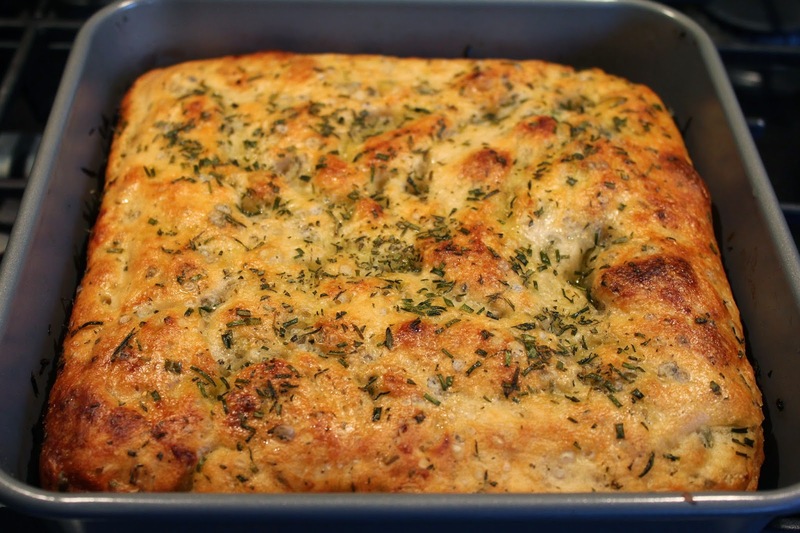 : Worry Knot non-Kneader - Focaccia is here to help! 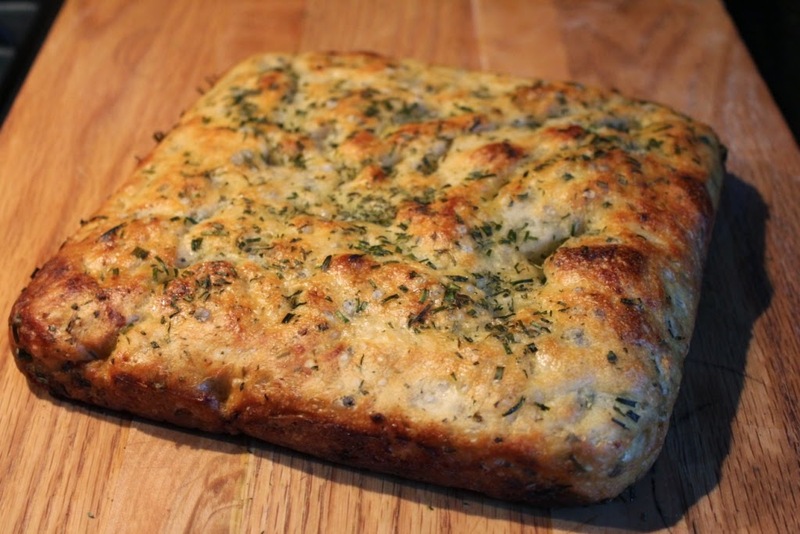 Worry Knot non-Kneader - Focaccia is here to help! Here we are! 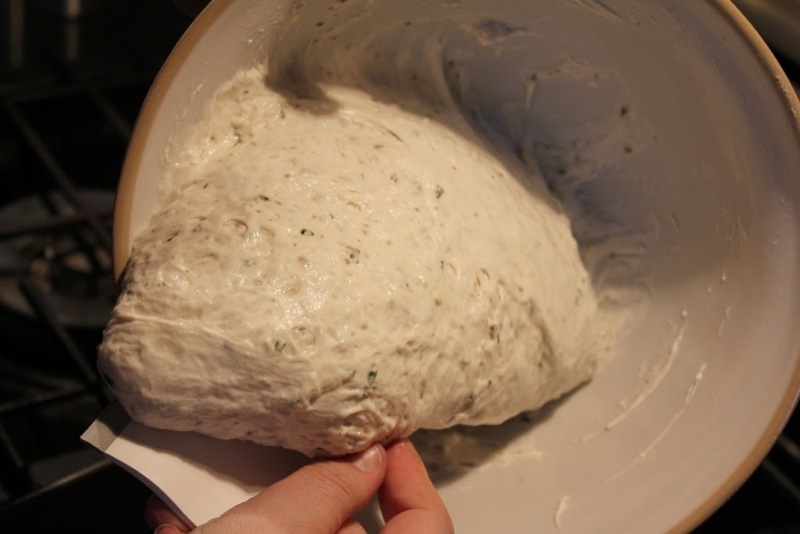 The 4th bread in the No-Knead Bread series. 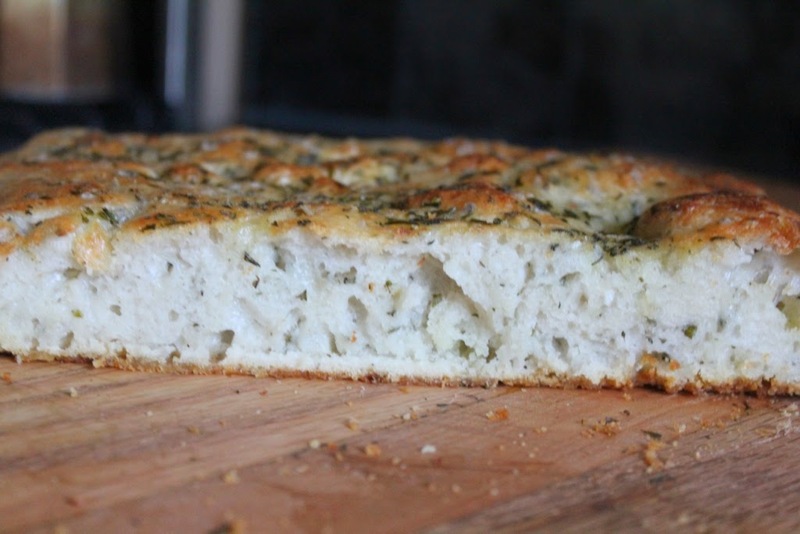 My wish was to show that by starting with the same ingredients and process you can indeed make delectable bread in so many different ways. 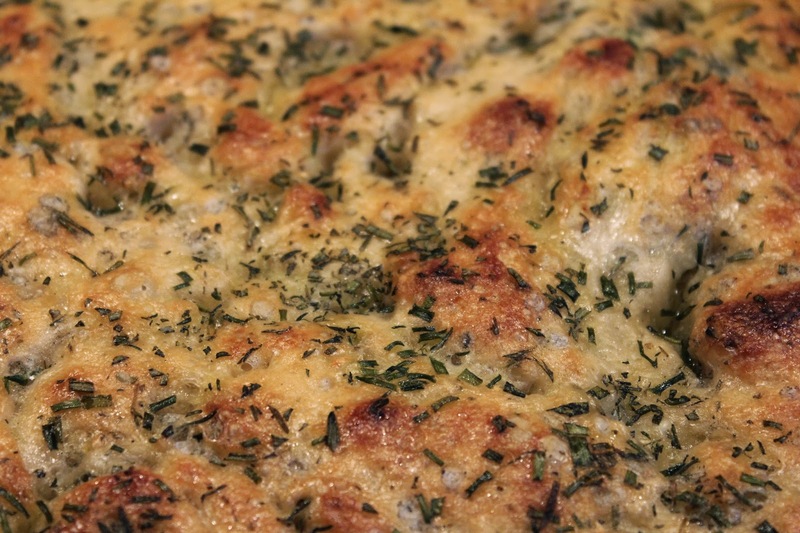 Last night was BBQ night at the house so I decided to accompany the pesto stuffed chicken with a focaccia. The lovely thing about this bread is that there is little fussing with forming the dough (not the others were super kneady (needy - hehehe)). 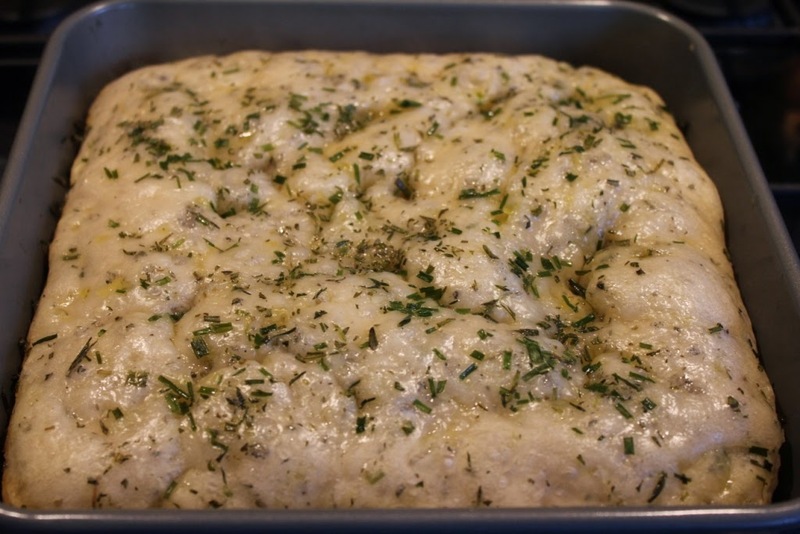 Just plop it in a square cake pan, cover with foil and bake. 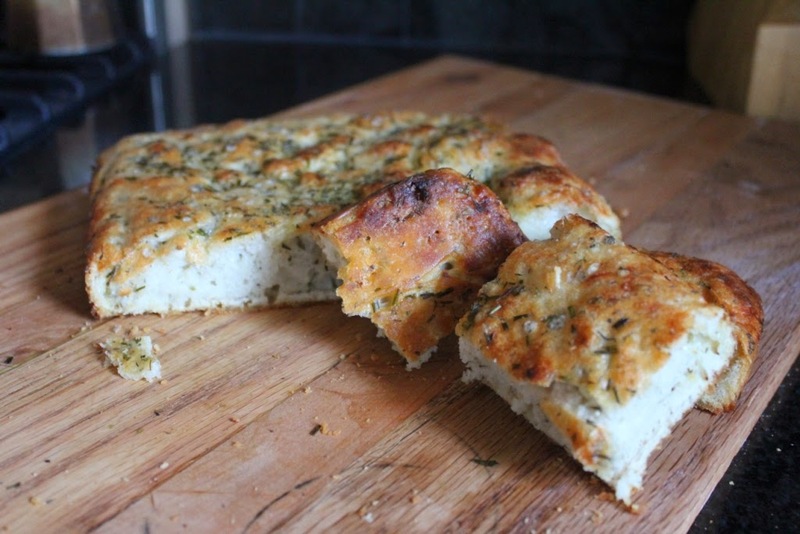 You can add whatever ingredients you wish to the focaccia. 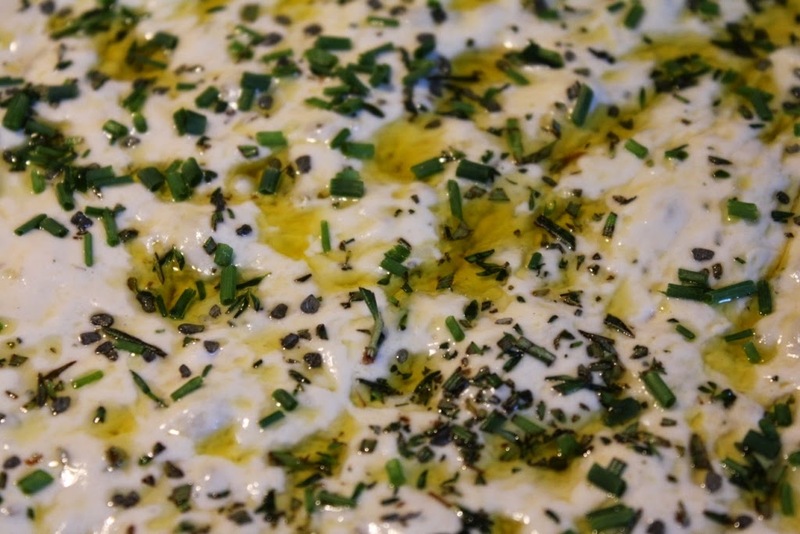 I've added chopped sun-dried tomato, herbs, olives, grated lemon zest - whatever combinations of flavour that would enhance your meal. 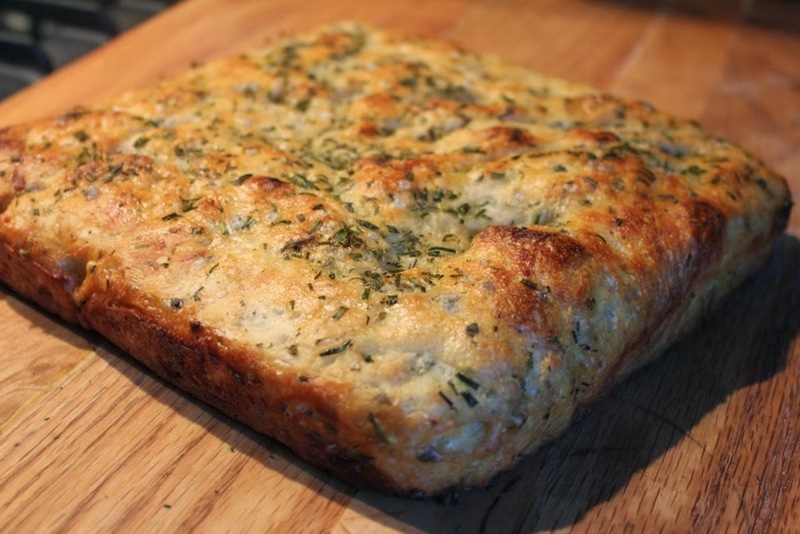 Lemon zest, thyme and tarragon bread works lovely with a piece of salmon. I've rambled enough - here we go! 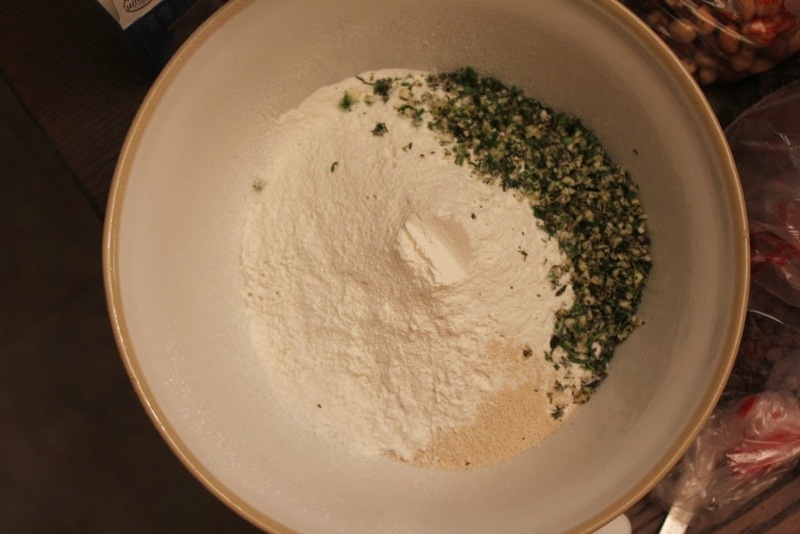 Dump 3 cups of flour in the bowl. 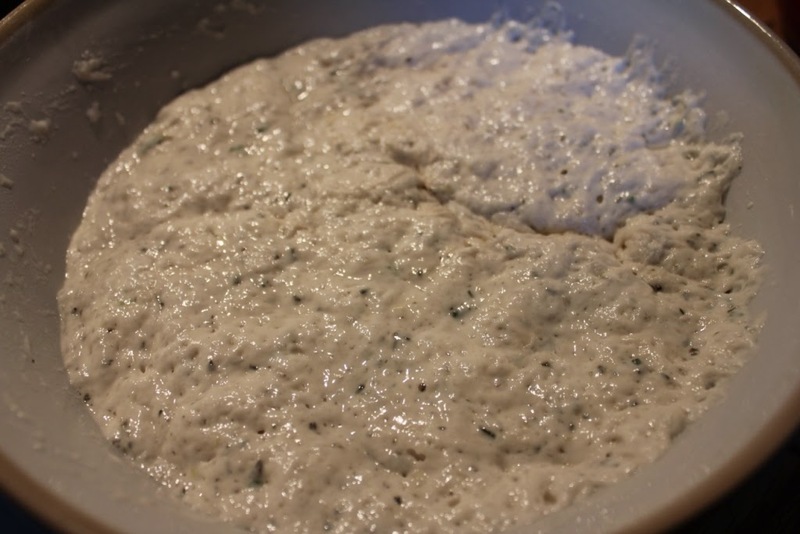 Add the yeast and salt and mix together. 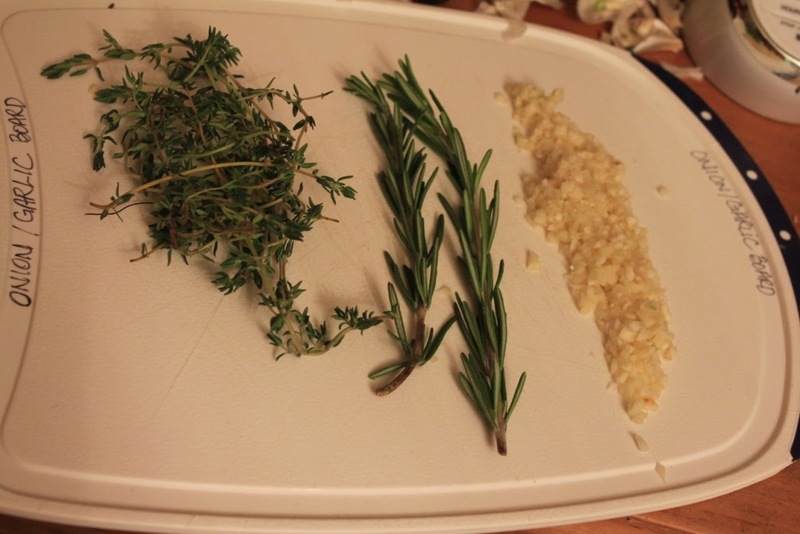 Add the Rosemary, Thyme, Chives, and Garlic to dry ingredients and mix thoroughly. 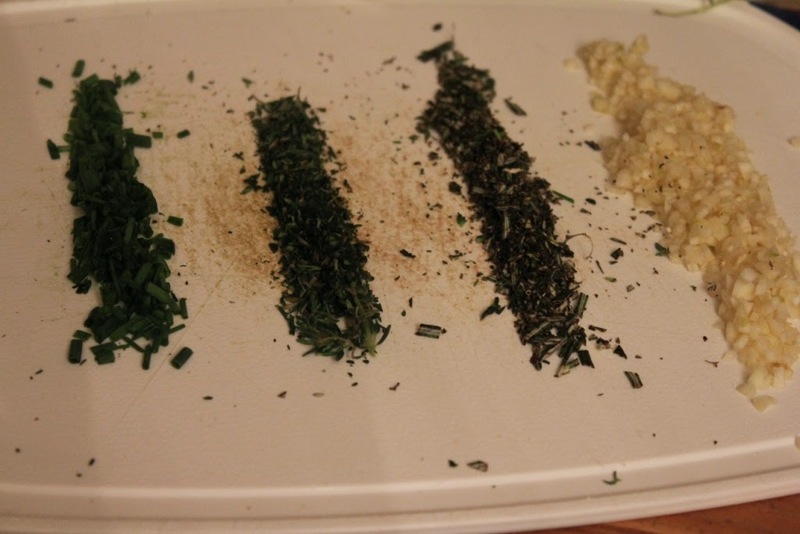 I actually mix those together first on the chopping board and do a couple of chops. 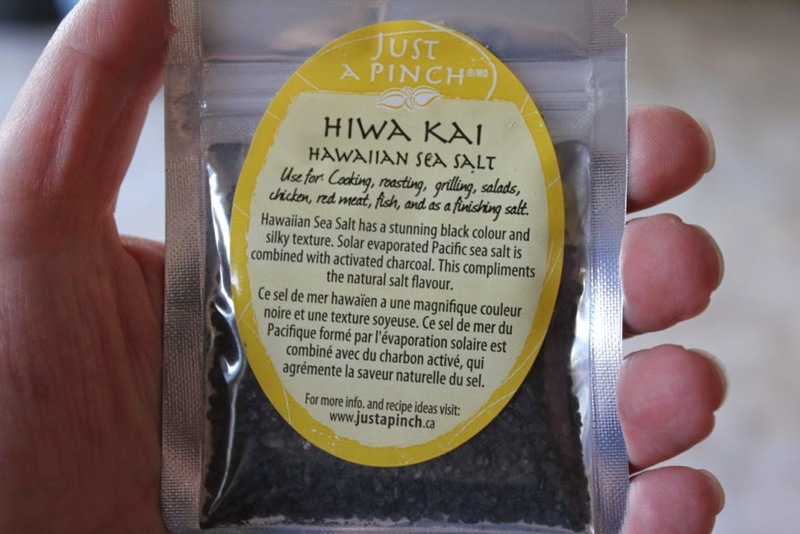 Add the water. 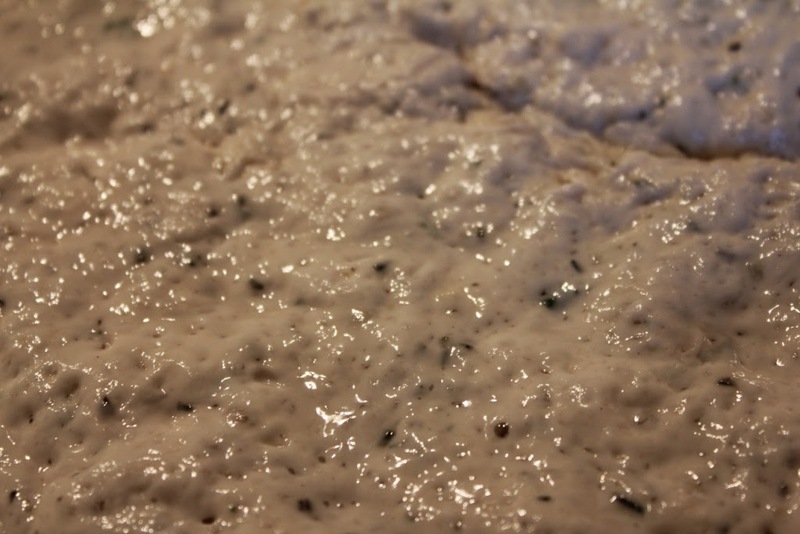 I start by dumping 1&1/3 cups in and using a wooden spoon or spatula to mix. Please DO NOT overmix - the less you fuss the better. 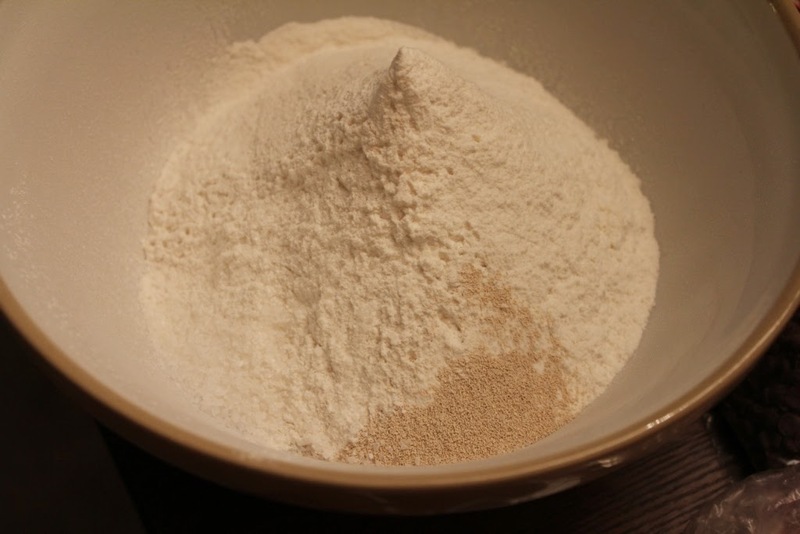 If you find that the flour is not incorporated, add remaining water, a Tbsp at a time until no "loose" flour is left. 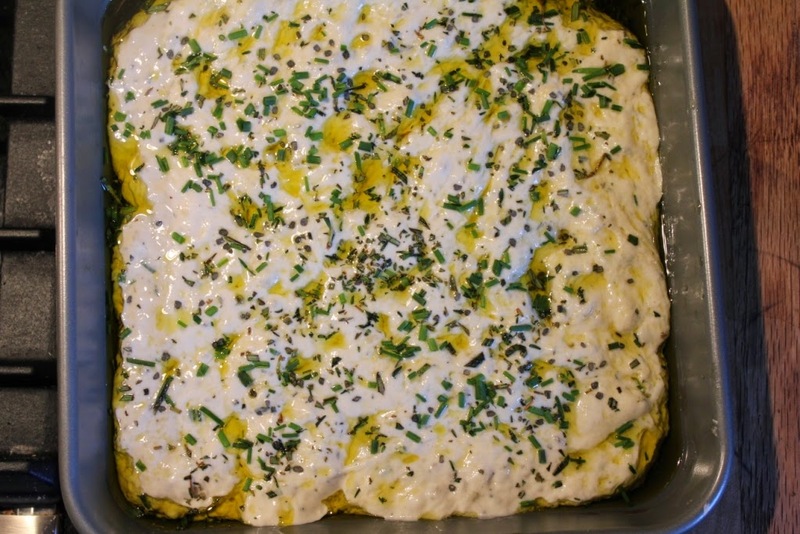 Take the square pan and pour the olive oil in. 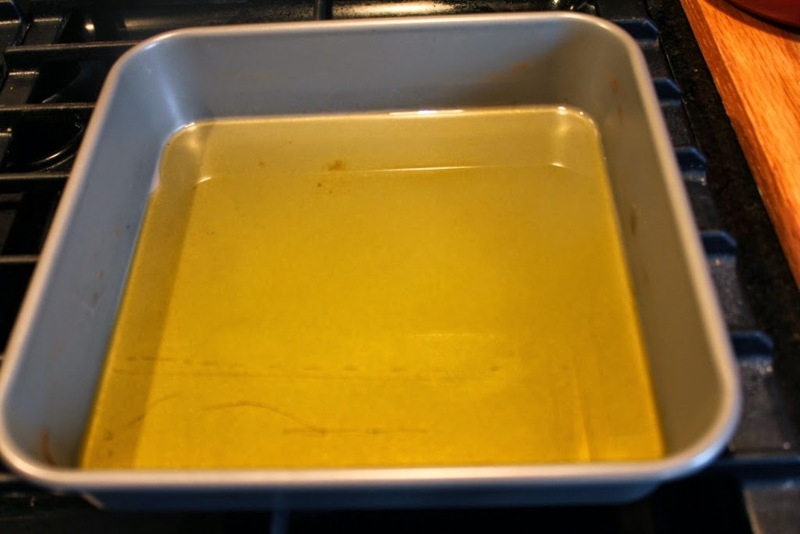 I know, it seems like a lot of oil,but honestly it isn't. 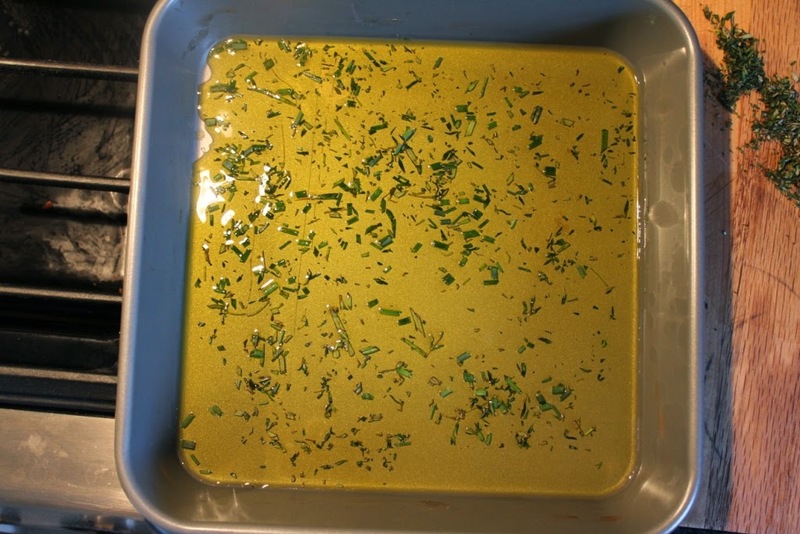 I chopped the herbs and put about 1/2 of it in the oil. 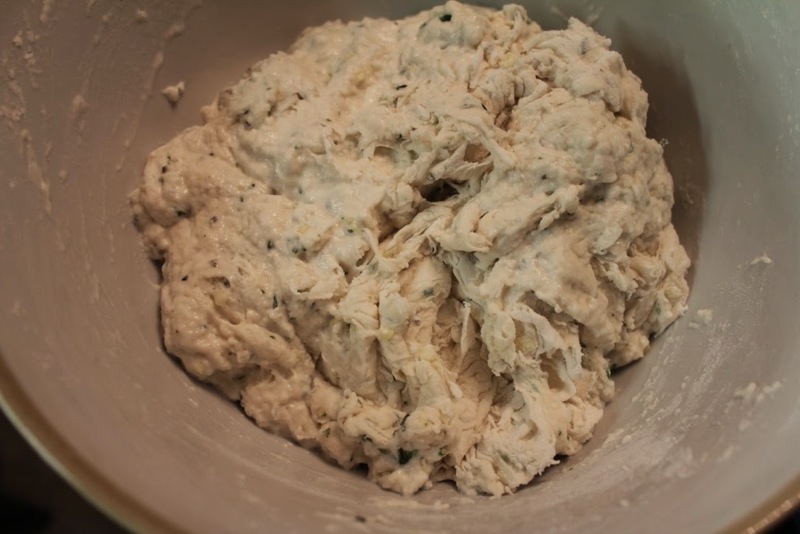 Then take your dough and plop it in the oil. 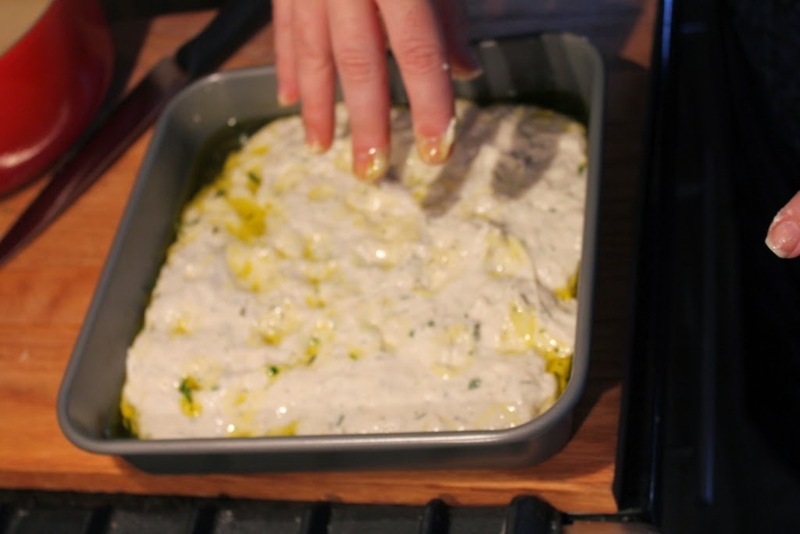 Use your fingers to spread the dough out and occasionally dip fingers in the oil when pressing the dough. 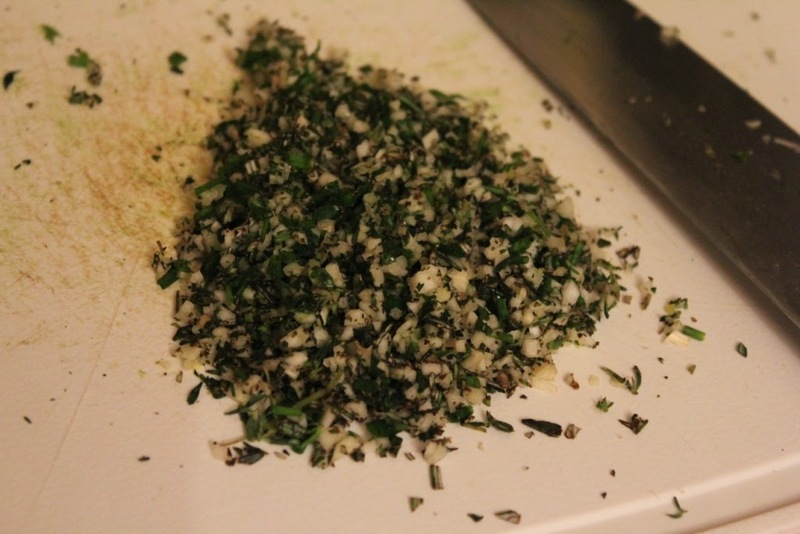 Take the rest of the herbs and salt and sprinkle on top. 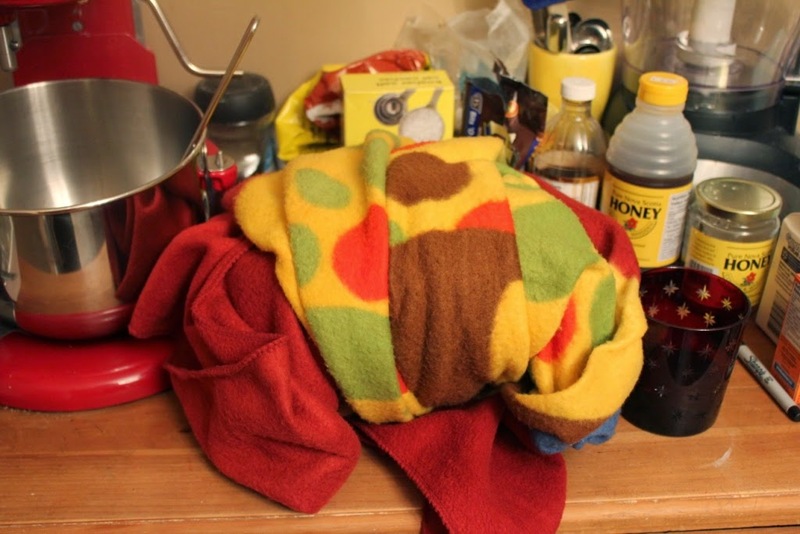 Cover the pan with foil and tightly pinch seams. 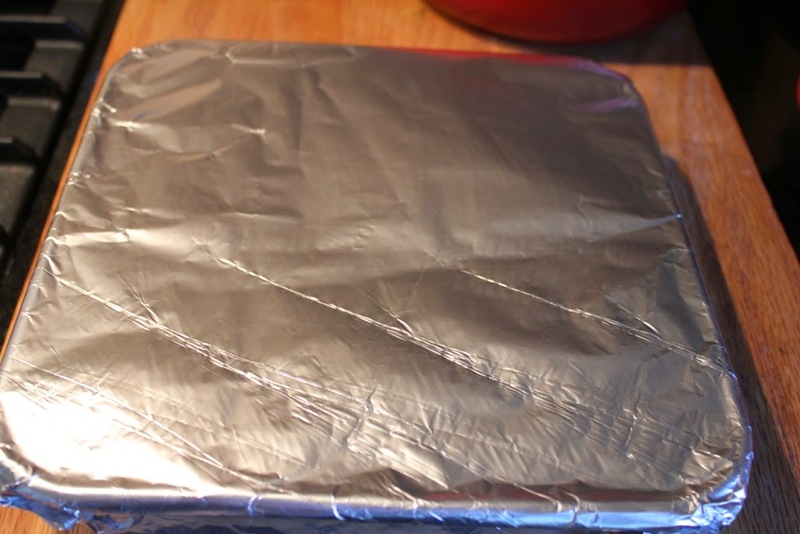 Remove the foil after 20 minutes and bake uncovered for an additional 20 minutes. 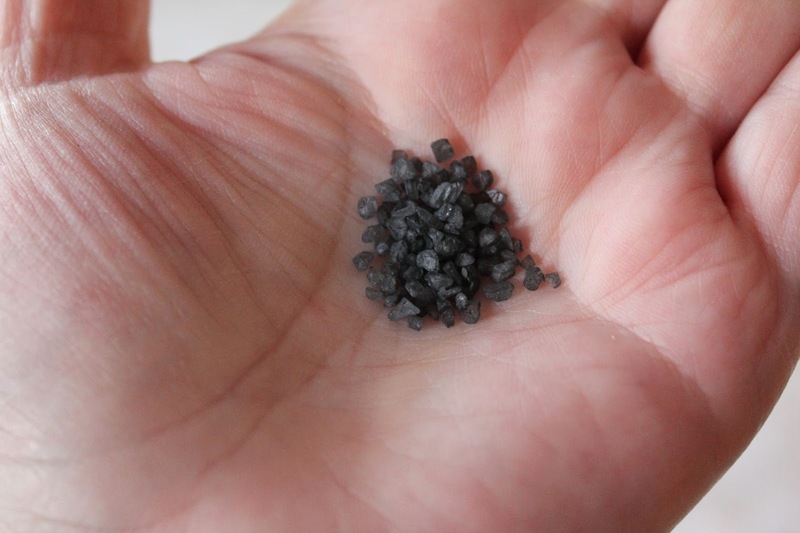 Notice the smell wafting through your home. Pretty delicious isn't it? 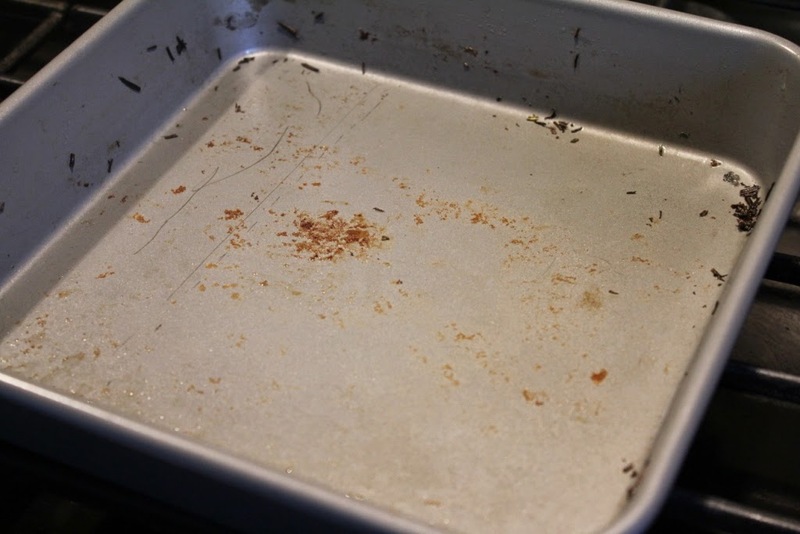 Remove from oven and them immediately take out of pan to rest on a cutting board.